This year, Canada’s National Midget Championship celebrates its 40th anniversary, and to celebrate the occasion Hockey Canada will be counting down the top 40 alumni in tournament history. Members of the selection committee have ranked 40 players based on their contribution to and impact on the game. A first-place vote from the selection committee is worth 40 points and a 40th-place vote worth one point. Ranking points have been added up to create the final top 40 list. 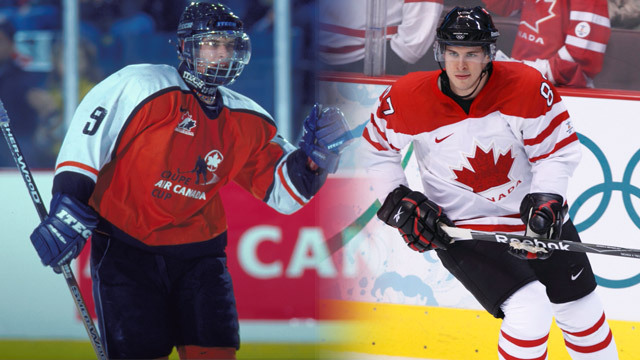 The TELUS Cup alumni list is a who’s who of hockey stars both past and present, from all-time greats like Roy, Sakic and Yzerman to up-and-comers like Crosby, Eberle and Pietrangelo. In total, Canada’s National Midget Championship had produced 53 NHL first-round draft picks, three first-overall selections (Wendel Clark, Sidney Crosby and Gord Kluzak) and nine players who have been enshrined in the Hockey Hall of Fame (Glenn Anderson, Ron Francis, Mike Gartner, Al MacInnis, Larry Murphy, Patrick Roy, Joe Sakic, Denis Savard and Steve Yzerman). The countdown began Thursday, March 21, with one player per day unveiled at www.hockeycanada.ca/teluscup. The No. 1 alumnus in National Midget Championship history will be announced during the 2013 TELUS Cup gold medal game on Sunday, April 28. Follow along with the countdown online at www.hockeycanada.ca/teluscup, or through social media at www.facebook.com/teluscup or www.twitter.com/hc_teluscup, using the #TELUS40 hashtag.